Babe's first set of wheels. Known to go tearing down the streets in Boston just as he did all his life scattering folks. Some where I have a disc with some articles from the news archives, his accidents he had with his cars at least half a dozen. Two serious ones, while with Boston trying to squeeze between two trolley cars..........going in opposite directions, mangled that vehicle. Another in later years, a roll over with one passenger ejected. He didn't live long but he lived hard and fast. 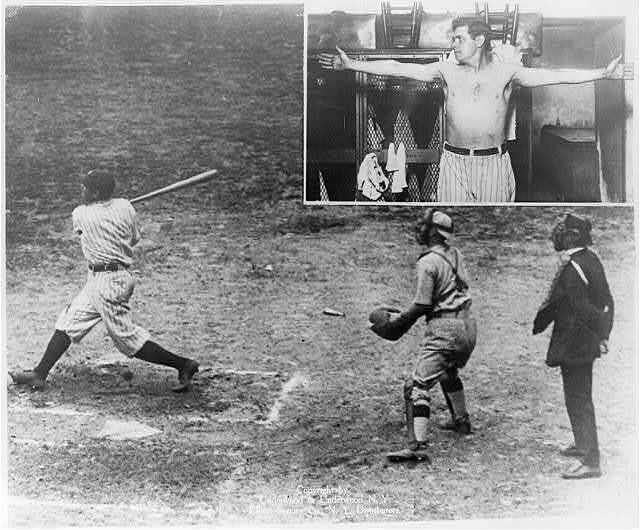 #4) Finally (for now), a great pic of Lou Gehrig, some kid named Joe, and The Babe. This pic was on the auction block in the past year...I forgot what it went for (a LOT). Anyways, I'd love to know a bit about it. Both The Babe and (an out of character) Lou look downright pissed-off! Babe isn't even looking at the camera and I don't think I've ever seen a pic of Lou with more of a sourpuss on his face. It cracks me up actually. I'm guessing "Joe" is the son of some politician/owner/dignitary....I could be wrong, just a guess. Anyone have a clue on this one? The Finest Babe Ruth & Lou Gehrig Signed Photograph on Earth. Our lot title might start an argument or two, but we stand behind the pronouncement, and it would take something pretty remarkable to make us change our minds. 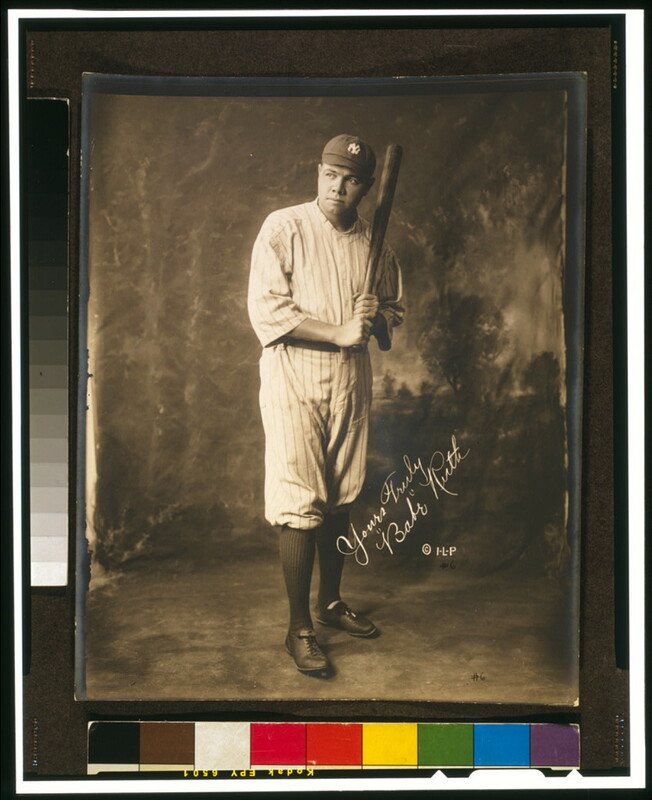 This simply phenomenal signed photo was consigned to us by the niece of Joe Glassenberg, who served as a bat boy for the New York Yankees from 1926 through 1928. That's him, of course, standing at center of the greatest slugging duo in baseball history, staring into the camera lens with the same unsmiling look of determination shared by his Hall of Fame friends. Purely as an image, this piece would carry tremendous collecting appeal, providing a sharply detailed study of the fabled Ruth and Gehrig during the storied 1927 World Championship season. Here's a link to Heritage's complete description of the photo, including technical information. However, I'd have to say that the "unsmiling look of determination" is a bit of a stretch on Heritage's part. It's a nice way to compliment the picture for an auction book...but to me, they both look like they got hurried onto the dugout steps for the picture and had a "take the friggin' picture already" look on their faces. Even the batboy has a look on his face of, "Um, sorry to make you guys have to do this.."
There's a great photo of Ruth speaking into a radio announcer's microphone set up in the stands near the field while Gehrig looks away with an incredibly POed expression...the caption from "The Babe: A Life In Pictures" even mentions that Gehrig didn't seem to care for what Babe had to say. I'll try to take a photo of it later. Great pictures BSmile - great shots. I never paid much attention before that Ruth signed righthanded. 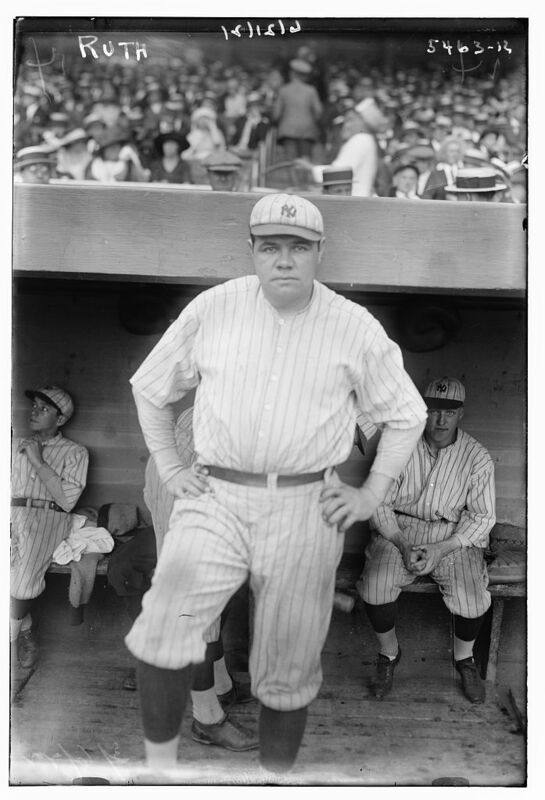 Here's three different shots of The Babe on that fateful last visit to The Stadium...and they're in color. In fact, they're the only color pictures that I've ever seen of The Babe...well, except for this shot (last attached) of The Babe and Ted Williams taken on July 14, 1943. 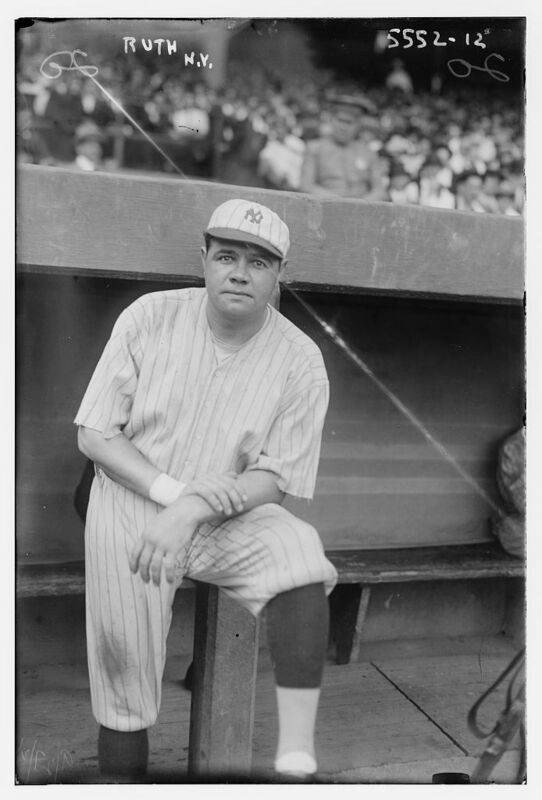 If anybody has any true color pic's of The Babe, PLEASE post them here...I'd really love to see them. 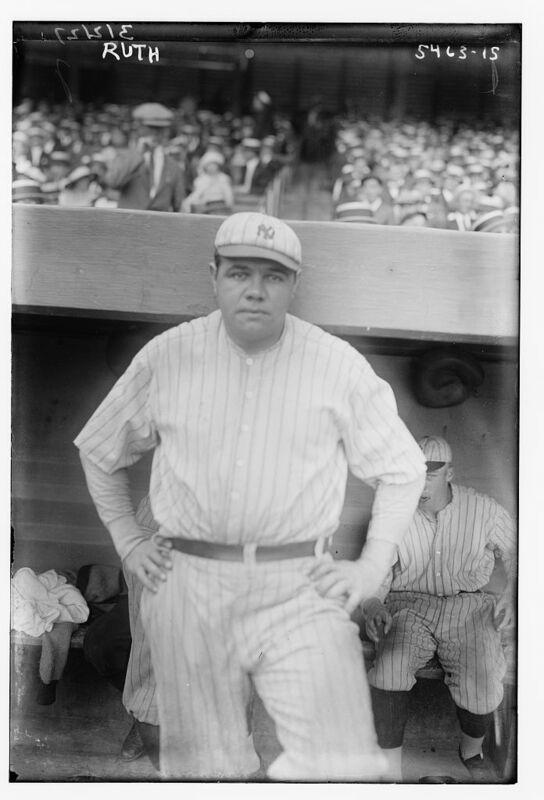 Color pic's of The Babe are really, super-rare (which is a shame). LOVE the color photos! Here are a few that I found. 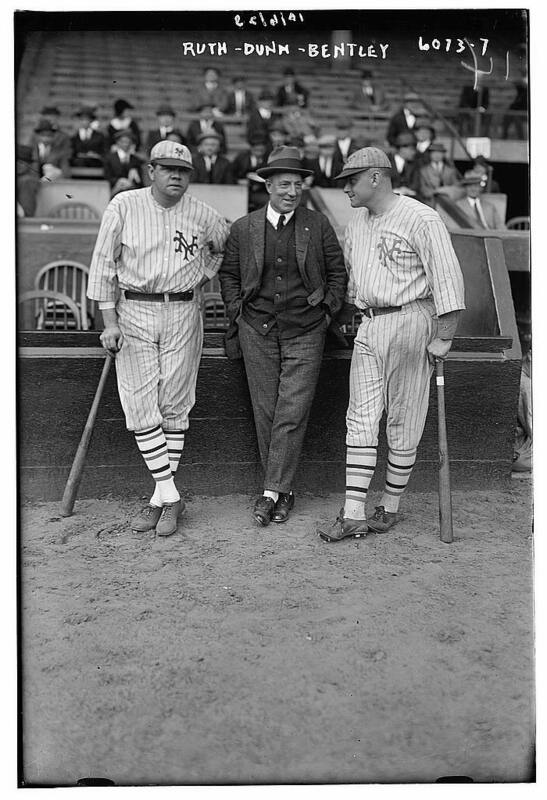 Babe Ruth & Jack Bentley in Giants uniforms for exhibition game; Jack Dunn in middle. 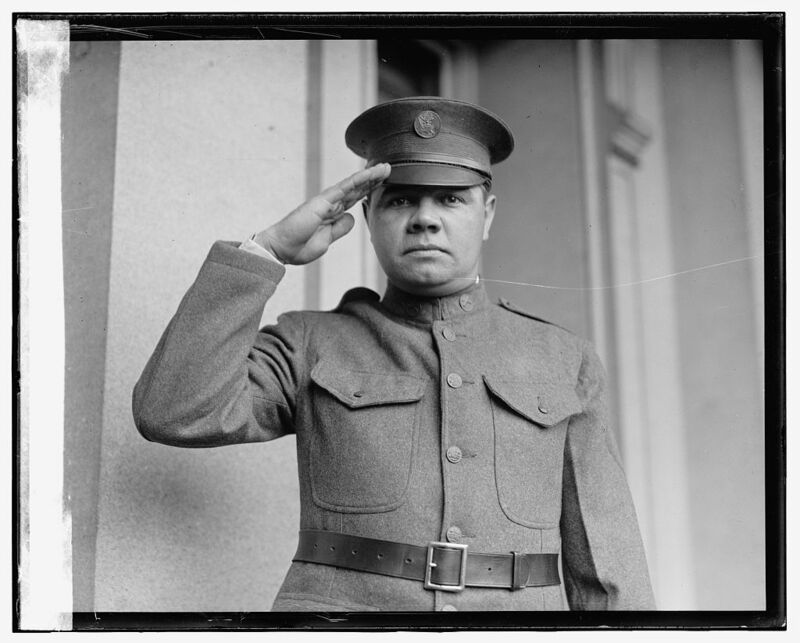 October 1923. 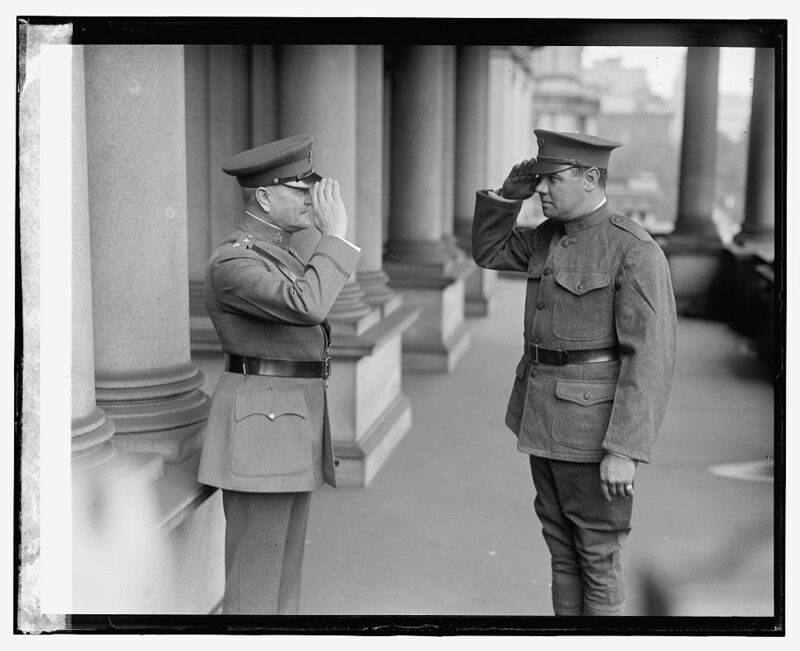 I believe these are from 1921, not positive. Last edited by locke40; 02-16-2008, 01:23 PM. Last edited by locke40; 02-16-2008, 01:19 PM. Great resolution on those pic's Locke40! 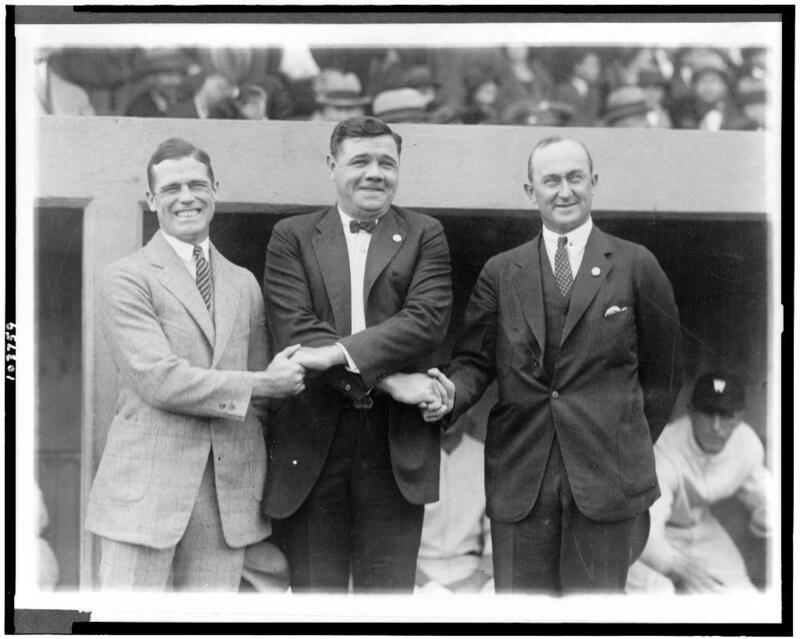 Geez, The Babe sure was forced to take a lot of pic's with Ty Cobb! Haha....and once again, Ty Cobb: Happy as hell! Go figure. 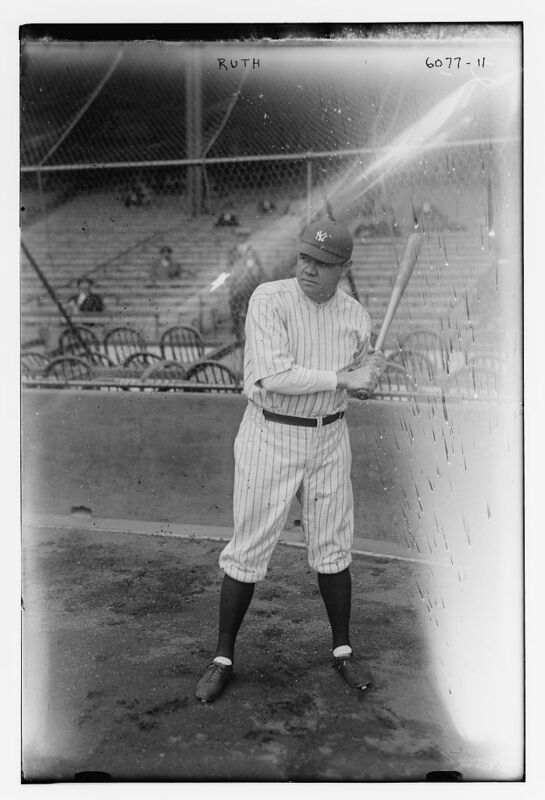 Here's an animated GIF that I made from a pair of stereoscopic pictures of Babe at spring training. Also, an animated GIF that I made of the 1935 Boston Braves (with Ruth of course). Funny thing about this GIF, I recently discovered that I had 2 pictures of the '35 Braves. At first glance they looked the same (I was going to delete one)...but when I looked more closely, I could see that they were in fact taken mere milliseconds apart. So, I looped them together (after some tweaking/resizing). Makes for a pretty cool 3-D image of the team. I can't believe it - you discovered the first 'tomahawk chop' - that guy on the bottom right is really into it !